On the 11th of August a team composed by researchers from FabLab Pisa and University of Pisa’s Center for Bioengineering and Robotics “E.Piaggio” will start a great adventure with a Summer School on the project called OS4BME (Open Source for Biomedical Engineering). The aim of the project is to bring the DIY&Makers approach in the developing of simple, low cost/high impact biomedical devices, precisely, in this particular case, a neonatal Baby Monitor. The course will take place at Kenyatta University (Nairobi) and it will involve setting up a 3D printing system, developing a neonatal monitoring device, using open source, electronics based on the Arduino platform and powered by solar panels. Participants will play an active role in the identification of components, design, assembling and testing of the device and in the discussion of regulatory issues in its development. Close attention will also be paid to safety, ergonomic aspects and regulatory standards for biomedical devices. The medical device industry in Africa is largely absent and there is an over reliance on foreign companies to repair and design biomedical instrumentation and resolve technical problems … More importantly, at present there are no specific engines or platforms focused on the sharing of biomedical instrumentation and devices. This is because, by their very nature, biomedical devices possess stringent performance requirements to comply with regulatory standards to ensure patient safety. OS4BME is a project created by Prof. Arti Ahluwalia (Univ. Pisa), Daniele Mazzei and Carmelo De Maria (both from Fablab Pisa but also post-doc researchers at Centro E.Piaggio). The summer school is an initiative organized by a consortium of nine African universities with the objective of creating a sustainable health-care system, developing a network of academic excellence for Biomedical Engineering in Africa with the support of the ‘United Nations Economic Commission for Africa (UNECA). 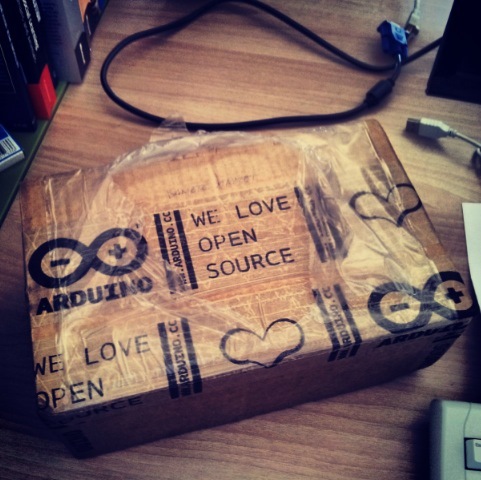 Arduino is supporting the project and we sent to the team a bunch of Arduino UNO boards, Wi-Fi and GSM Shields to be used during the course and then will be donated to the Kenyatta University and Fablab Nairobi. In the next week we’ll keep in touch with the team and receive updates directly from the summer school. Stay Tuned on this blog and on the work in progress of their WIKI!